The clash between Colombia and Japan will be played at the Mordovia Arena in Saransk on June 19th. The Coffee Growers are favorites to reach the Round of 16 alongside Poland, but this group is probably the toughest at the entire tournament, and the impression is that all four teams have equal chances to make it through. Colombia qualified to their fifth World Cup and second in a row, and their biggest success so far is the quarter-final four years ago in Brazil, when the Brazilians eliminated them, preventing Colombia from battling for the first-ever medal. They have aspirations to go a step forward this time around, but the Tricolor must deal with tough competition in the group phase first. On the other hand, Japan made it to their sixth World Cup and sixth consecutive after their inaugural championship in France 1998. They advanced from the group stage on two occasions; in 2002 when the Japanese co-hosted the tournament, and in 2010 in South Africa. The Samurai Blue recorded just one point in the previous WC and ended the participation in the group, so they are hoping to make a better impression here. After narrow qualification to the World Cup, José Pékerman’s side took part in five international friendlies, and following a surprising 2-1 defeat to South Korea, Colombia was undefeated in the next four matches. They beat China and France, while the latest two games with Australia ended without goals, which was the third time in four games Colombia kept their net intact. Akira Nishino’s team won just one out of the last five games, having lost to such opponents as Ukraine and Ghana that even didn’t make it to the World Cup, but they traveled to Russia on the wings of a 4-2 victory over Paraguay. The top-scorer at the previous World Cup and Colombia’s vice-captain, James Rodriguez is currently their best player and even though he has Falcao who scored eight goals more for the national team, the No. 10 has all that it takes to be a contender for the best eleven here in Russia. Japan’s No. 10 Shinji Kagawa has 30 goals in 92 international caps and in a tandem with Keisuke Honda can create a lot of problems to Colombia’s defense, and Dortmund’s attacking midfielder has the ability to decide the match with one move. 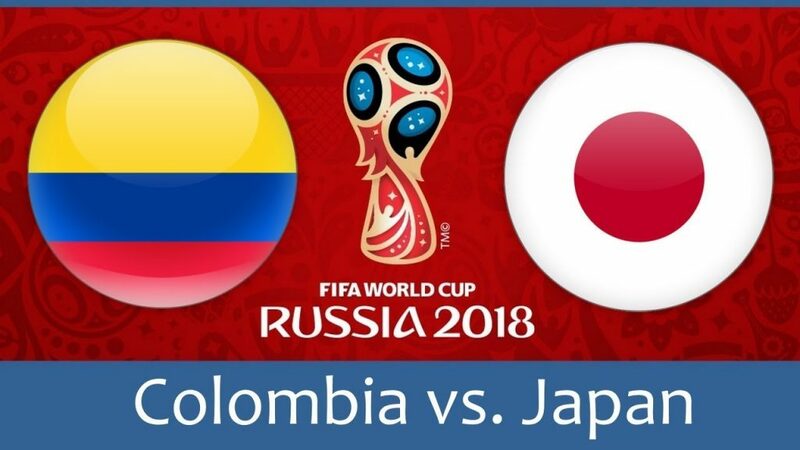 These rivals have met on four occasions so far and Japan is still searching for the first victory over Colombia, who destroyed them in the previous World Cup when it was 4-1. I don’t think we will see the same result here, but I think both teams can combine for three goals.